National Trust Scones: 50 National Trust Scone Recipes - Tried and Tested! 50 National Trust Scone Recipes - Tried and Tested! Two things happened in 2017: firstly, the illness that beset the Scone Blogger's household last year continued, which meant that a measly 13 scone missions were completed; Clumber Park, Bodnant Garden, The Needles Old Battery, Wicken Fen, Castle Ward, Mount Stewart, Rowallane Garden, Chedworth Roman Villa, Greyfriars House, Snowshill Manor, Berrington Hall, Croome, and Peckover. 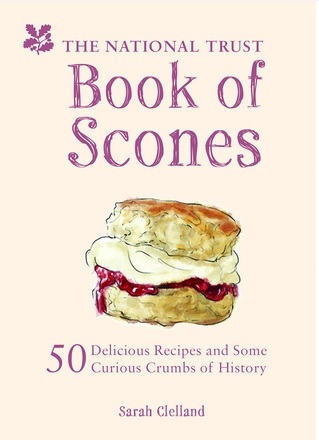 The second thing that happened was the publication of the National Trust Book of Scones, featuring recipes from NT properties across the land. 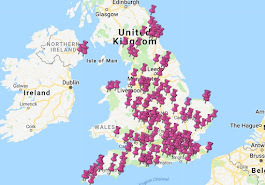 It still amazes me to this day, as has all the support from the Sconepals that have joined this mission either by reading the blog or buying the book or sending in pictures of scones they have spotted on their travels. You're all marvellous people. Tweet or Instagram me your pictures and keep sconeing!